Standing tall and looking out into your little ones room, the Brontosaurus is one of the most loved dinosaurs and it's easy to see why. With their long neck and friendly face, little ones will love bedtime when their room's lit by this prehistoric character. 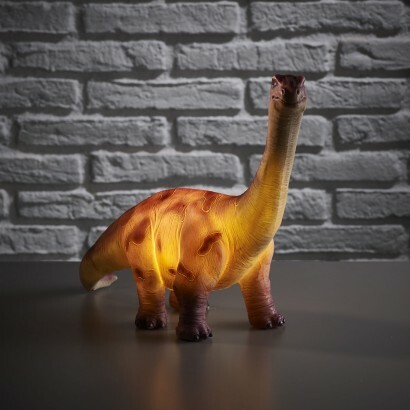 Battery operated, place the retro Brontosaurus lamp anywhere in your child's room and it will shine from within highlighting the detail on his body and casting a warm, comforting glow.